I just got back from this amazing trip to Pittsburgh, PA to visit and take some photos of my dear friend and her little girl. Here are some of my favorite shots from the weekend, including some scenery in Pittsburgh! I couldn’t get over the sheer number of fantastic historical buildings everywhere. I just LOVED all the detail in the buildings. It isn’t just OLD, it’s a whole different ballgame when it comes to creating something. These buildings were meant to last and their designers put a lot of work into making them each unique. I wish I could have gotten more close up details of some of my favorites. The light coming through the city was just golden and delicious. My camera slurped it right up! 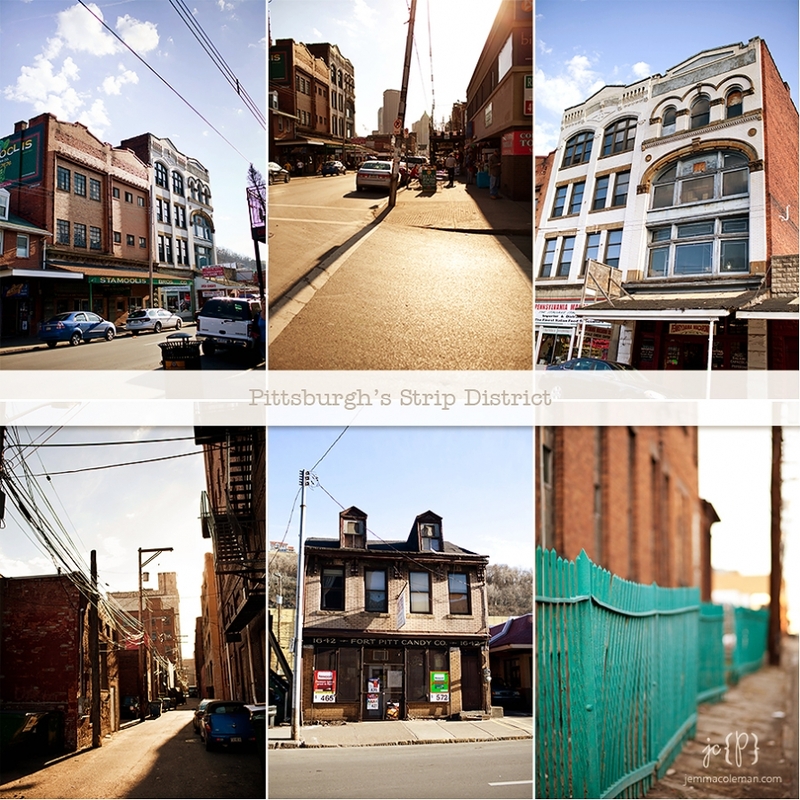 We spent a lot of time hanging out in the historic Strip District of Pittsburgh. There are a lot of independent shops and restaurants here and plenty of fun places to shoot too! You’ll find unique items there – I even found some of my favorite English snacks at one shop, Mon Aimee Chocolat! Jelly Babies, Rowntree’s Fruit Pastilles, and delicious Jaffa Cakes… mmmm! Gotta love that city skyline and those bridges! And, oh, the sunsets. I was told we got two of the sunniest, clearest days while we were there! Probably my favorite picture of all – such a pretty mural and pretty ladies! I’d like a fence like this please. Another gorgeous sunny day, just a little bit colder. We rode up the Duquesne Incline to get this magnificent view! On our last day, we got a bit of snow, so it was the whole experience – all the best parts of Pittsburgh’s weather in one short trip! Not to mention I got to go snow-tubing!! !